Just like Jamie’s baby shower invitation I posted a couple weeks ago, Jessica’s invitation was partly themed to the nursery. The actual theme of the shower was “Cute as a Button” but the nursery features elephants and the colors navy, white, and gray. While researching for the invite, I saw an illustration of an elephant carrying balloons and thought, “how cute would it be if the balloons were buttons?” With that idea in mind I went to work… I just adore how this invitation came out, and better yet, Jessica loved it too! I normally always work with her on the showers for church but this one I of course was on my own, oh how I missed her feedback! I sure was nervous to hear from her once she saw them! 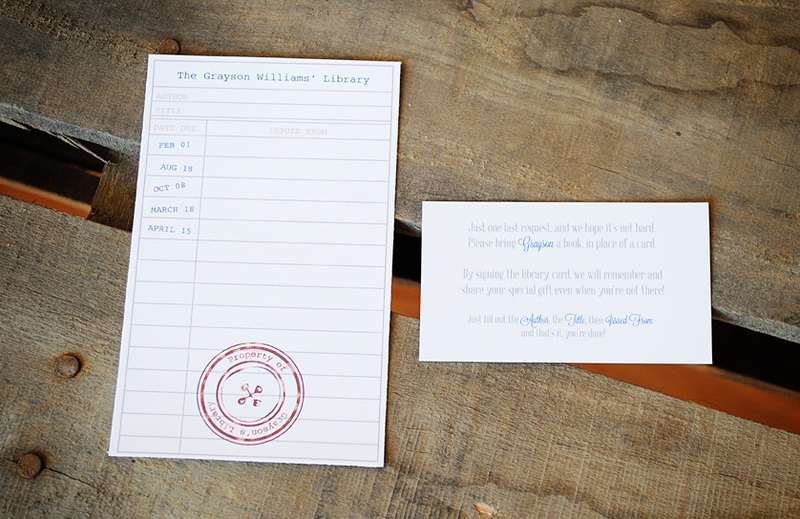 I also designed a little library card with a note that asked for all guests to bring a book to add to Grayson’s library, rather than a card. Each library card could then be filled out with the book info and who gave it to the babe. And of course Grayson was born over 3 weeks ago now so this was a post long time coming. 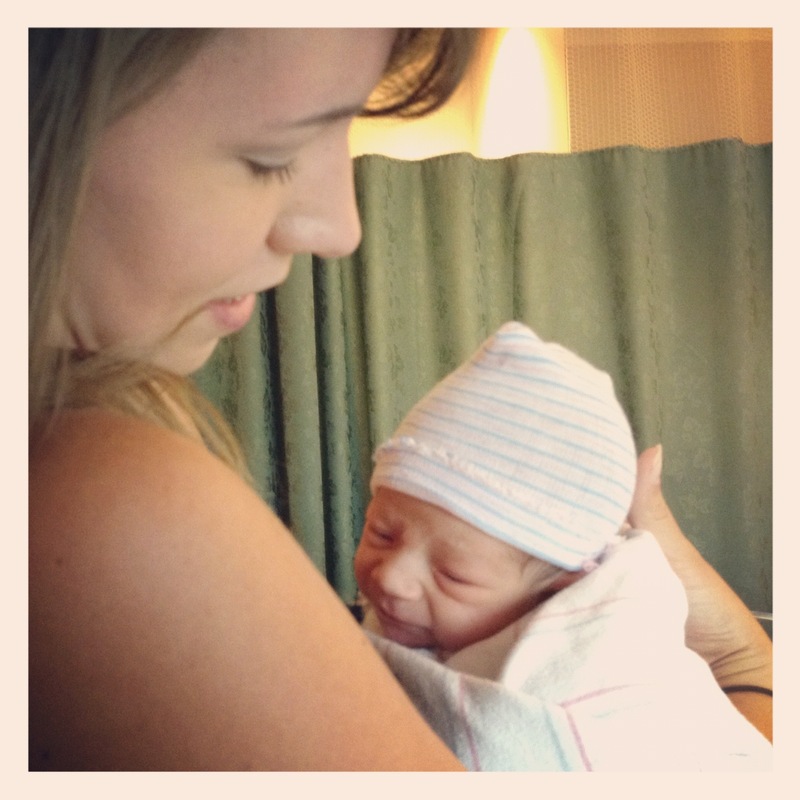 Here’s a photo of the little man from when I first met him!